Original image by Beata May under creative commons licence. London's statues are a miserable lot, staring into eternity with stony eyes and serious expressions. 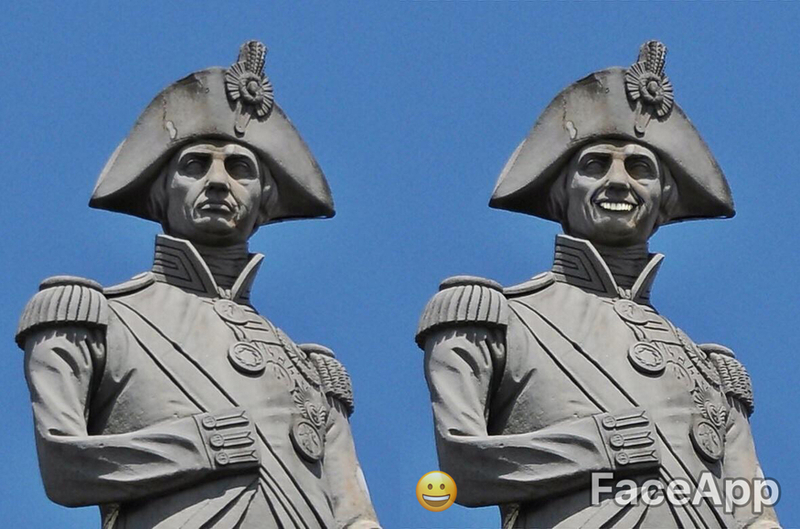 We decided to cheer them up a little using FaceApp. 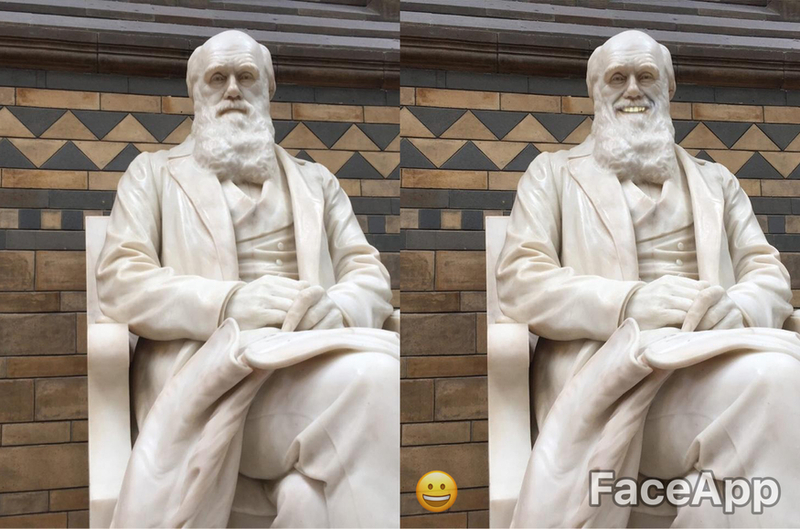 We've always suspected that Charles Darwin was secretly a bit of a laugh. The face converter reveals the winning smile hidden behind that beard. This statue is in the Natural History Museum. 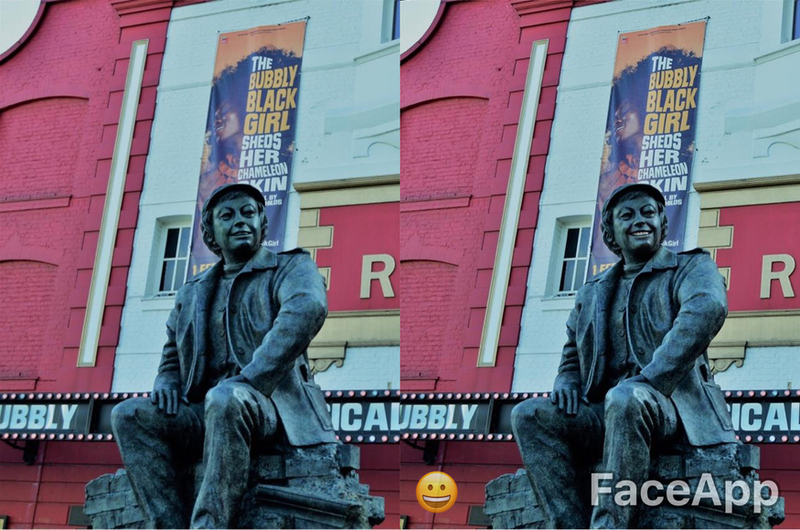 Joan Littlewood welcomes visitors to Stratford Theatre with a natural smile. The app adds teeth, making her grin seem a little more forced. Original image by Bs0u10e01 under creative commons licence. Gandhi was only an occasional Londoner, but his importance merits two statues in the capital. 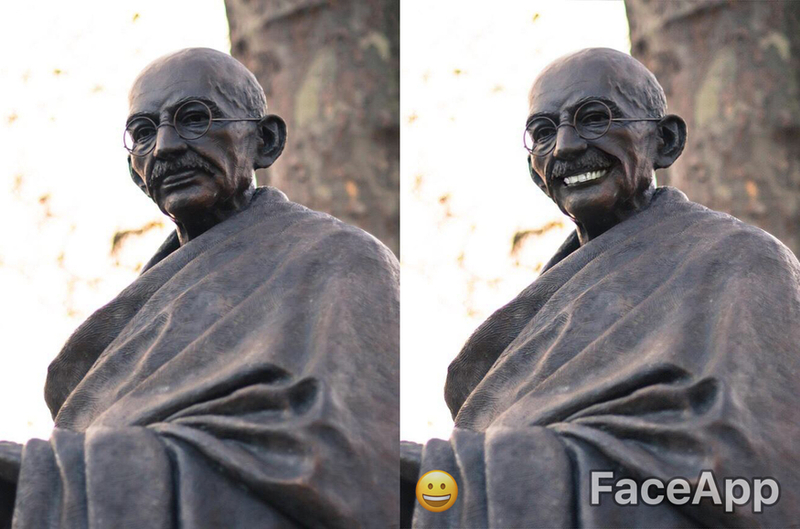 This one in Parliament Square is suitably dignified, until we click the smile filter. He now looks more like the scary bloke down at Tesco than the serene proponent of Indian independence. London's weirdest statue can be found within the grounds of Westminster School. Queen Elizabeth I is depicted in shiny gold, her neck engirdled by an oversized Polo mint. One tap of the app and her inscrutable expression changes to a hearty grin. 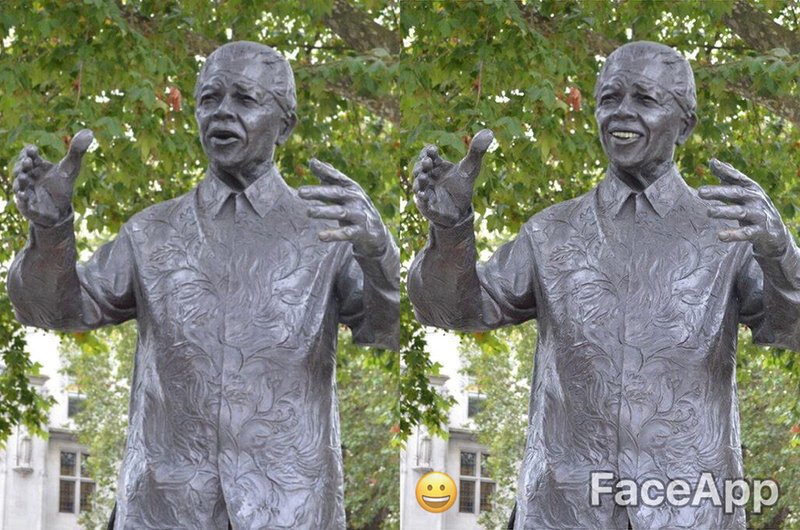 Nelson Mandela in Parliament Square already looks rather cheerful. 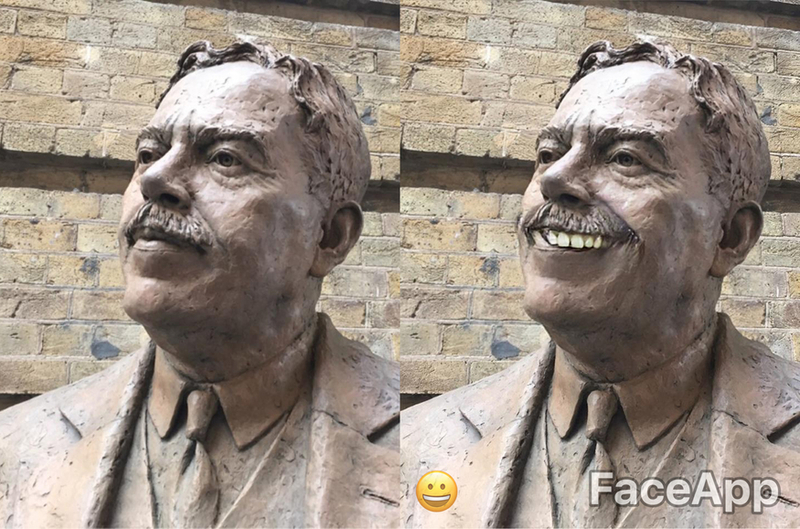 Here, FaceApp doesn't really add much except the teeth and a slightly bemused expression. The statue of Sir Nigel Gresley in King's Cross is most famous for its absent duck. Gresley designed the Mallard locomotive, so his memorial initially included a bronze waterfowl by way of rebus. Disappointingly, his family objected, and the duck was deleted. 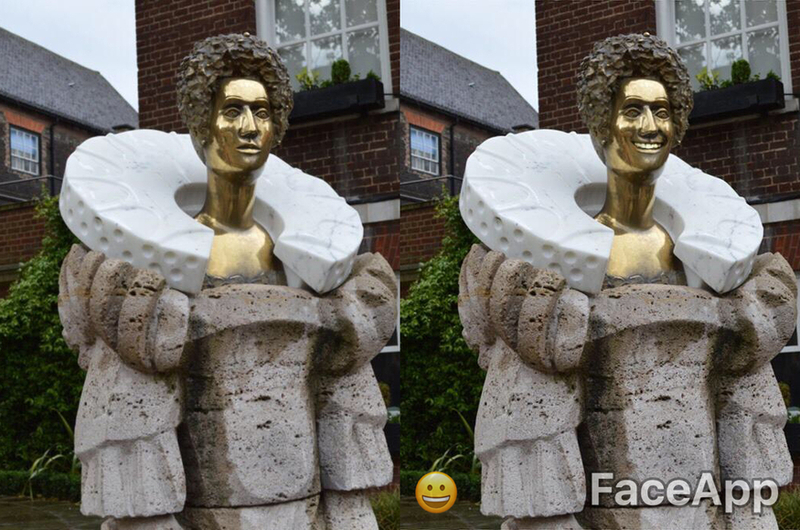 FaceApp does not treat Gresley with kindness. A countenance of distinction is ruined by goofy teeth. We look forward to the letter of complaint. Despite being seated, a golden Thomas More projects authority in Cheyne Row, Chelsea. Less so the doctored version. The Tudor martyr looks like an embarrassed schoolboy in a class photograph. The app works on street art, too. Just as well, because we couldn't get it to manipulate the famous statue of Churchill. Instead, here's what it does to Luca de Gradi's shutter art in Shoreditch. In an alternative universe, Winston Churchill made a living as an early gameshow host. 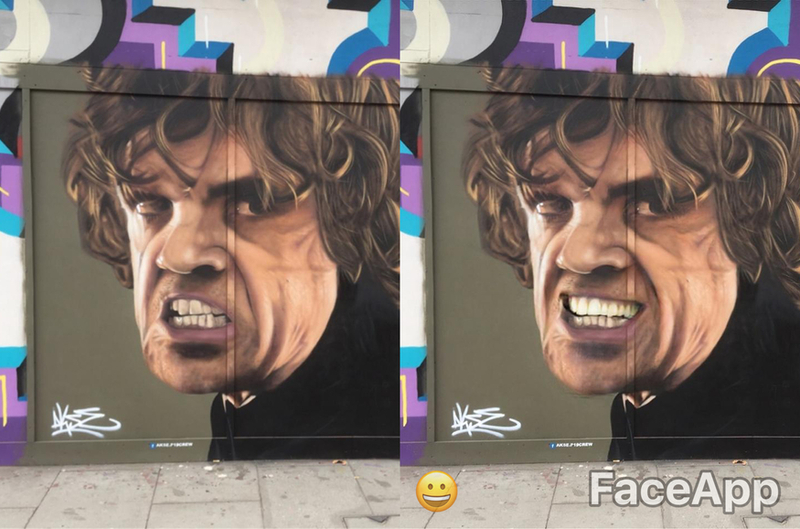 And finally, this reworking of Tyrion Lannister from Game of Thrones shows just how effective the app can be, given a proper face to work with. The original street art could be found along Great Eastern Street. 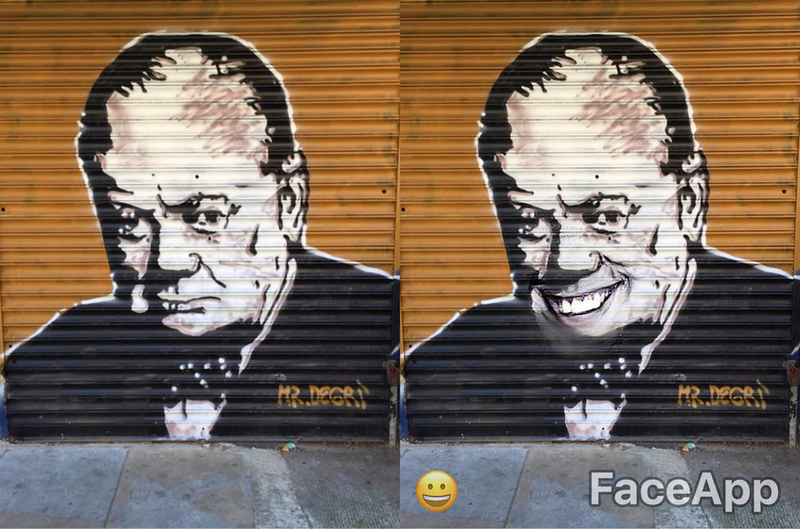 FaceApp, available for Apple and Android, uses clever AI-type magic to rework faces. You can make your subject young, old or smiley, or tap into other makeovers if you're willing to pay for the 'pro' version. 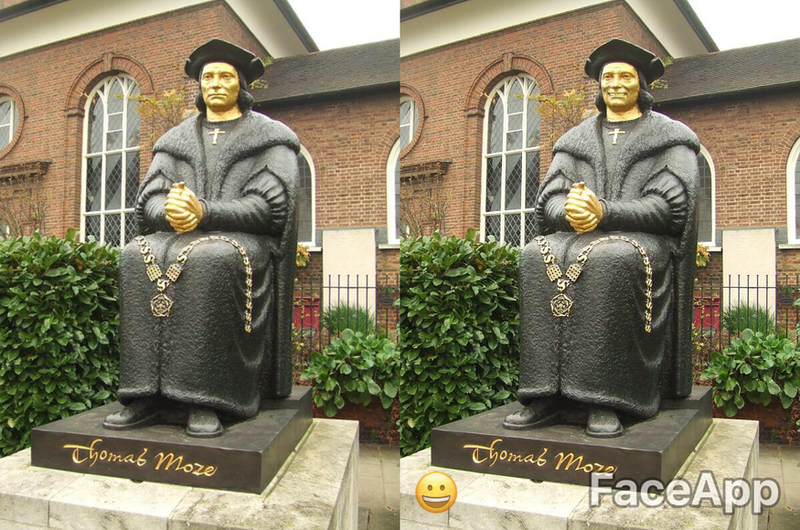 Note: This is not a sponsored article, and we've had no contact with FaceApp — purely a bit of fun. All images by the author unless otherwise noted.